The National Council of Teachers of Mathematics stipulates that “reasoning and proof should be a consistent part of students’ mathematical experience in PreK through grade 12” (2000, 56). This should be the experience of all students. To allow all learners to engage in argumentation, we as teachers need to develop our confidence in planning for the wide range of learners in our classrooms. How can argumentation be a goal and an expectation for all students? One strategy is to embrace students’ use of diverse strategies. This diversity can then be used to plan cognitively demanding instruction that includes argumentation and that allows all learners to build from their own thinking and access their peers’ thinking to develop their understanding of new concepts. Rich, open tasks that invite argumentation are challenging because of their open nature. However, their openness also allows access to students who struggle in mathematics. Being open implies having more than one entry point, which makes such tasks accessible to students who often struggle to follow one particular procedure. Indeed, once we balance the role of procedures in learning mathematics with a focus on argumentation, we may open the field to include students who found mathematics too rigid and uninviting. Tiffany Adams taught an inclusive seventh-grade classroom in which some of her students had individual education plans (IEPs) that included goals in mathematics. Some of the students had diagnosed learning disabilities or attention-deficit hyperactivity disorder, while others faced challenges with speech and language processing. Some of the students also received support in English because they were recent immigrants and English language learners. Tiffany selected a simple but cognitively challenging task that all students would be able to engage with at some level. Tiffany’s students had experience with rational numbers from previous years, but, because they had not reviewed them yet this year, Tiffany chose and approached this cognitively demanding task with an open mind and the expectation that not all students would remember the “proper” procedures. In fact, she thought that starting with the expectation of using reasoning skills and argumentation to revisit this content would benefit students. Tiffany introduced the problem on the whiteboard and read it aloud for her students. She asked students to consider the task individually first, using printouts that she had distributed. Two students received the handout translated into their first language. Presenting the task in multiple ways (reading it aloud, writing it on the board, giving students their own copy of the representation) ensures that students with different needs understand the task. For example, if reading is challenging, then reading problems aloud to students can be helpful. Presenting the tasks in multiple ways and allowing extra time for students to think through the task gives access for students with challenges processing auditory information as well. Students worked independently on the problem for a few minutes while Tiffany moved around to observe. When students appeared confused or simply not engaged, she asked them to describe what the problem was asking and encouraged them to consider what “eighths” means and how they could find an “eighth” in the figure of the problem. Once students worked independently, Tiffany asked them to discuss their strategies with their partners. The goal of the pair shares was for students to share strategies and question each other to ensure that they understood each other’s arguments. This routine was consistent in Tiffany’s class: first, students were given some time to process some of the information individually, then they were asked to work on problems in pairs, giving all students a voice and more confidence in building arguments. After pair shares, students were asked to share with the whole class. Whole-class sharing also had some special rules: All students should be allowed to share thoughts and answers without being interrupted and without comments, while Tiffany represented what she heard on the board. Tiffany found that, because some of her students lacked confidence in mathematics, it was best to give them the time and space to complete their thoughts without interruption or questioning. As always, Tiffany asked the class to share solutions, reminding them to explain how they arrived at their answers. As students shared their solutions, Tiffany represented what she heard on the board. She represented student thinking carefully, waiting patiently when students were struggling to articulate their thinking, and verbally summarized each strategy at the end. As Tiffany commented later on, it is important for the teacher to listen carefully to what students say in order to accurately represent their work. It’s important for students of all abilities to communicate their mathematical thinking and to try to articulate their thoughts clearly and precisely. 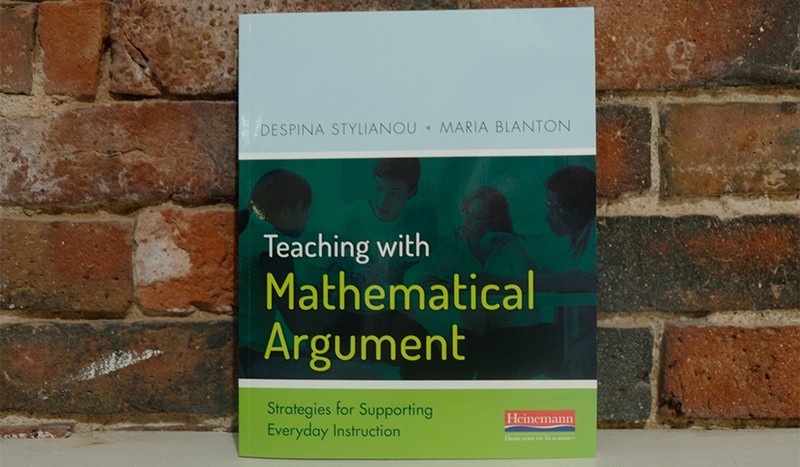 To learn more about Teaching with Mathematical Argument, visit heinemann.com or click the button below to download a sample chapter. 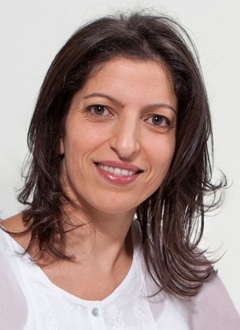 Despina A. Stylianou is a Professor of Mathematics Education at The City College of New York. She is also the Director of Mathematics in the City, a center for K–8 professional development focused on mathematics education. Her research interests lie in the area of mathematical cognition; her work explores the mathematical skills, sensibilities, and habits of mind, and actions that are critical to doing, learning, and using mathematics proficiently. 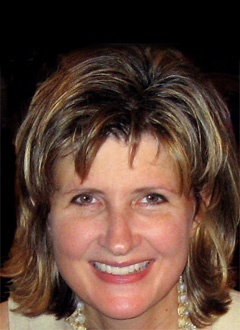 Maria Blanton is a Senior Scientist at TERC in Cambridge, Massachusetts. Prior to joining TERC, she was a Professor of Mathematics Education in the STEM Education Department at the University of Massachusetts, Dartmouth. Her work focuses on understanding issues of teacher and student learning associated with algebraic thinking in the elementary grades. Heinemann is at NCSM & NCTM 2019!